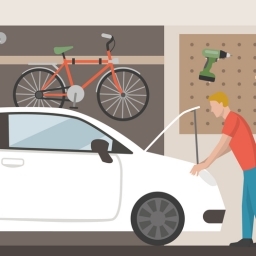 “It’s time to clean up the garage, again.” How many times have you had to say these or similar words, because your garage was cluttered with everything from your bicycle and lawn mower to tools and other stuff? 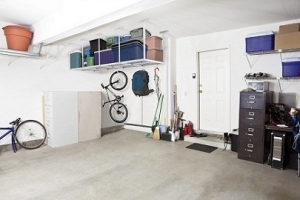 Fortunately, you can now say goodbye to the mess in your garage thanks to Fleximount overhead garage racks. 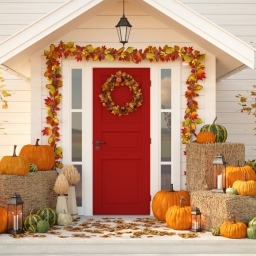 Installing these will save you not only precious space in the garage, but also the time you can now spend on more fun things than cleaning up the garage. 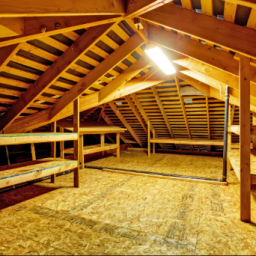 What is a Ceiling/Overhead Garage Rack and how it can Help You Use Garage Space Better? 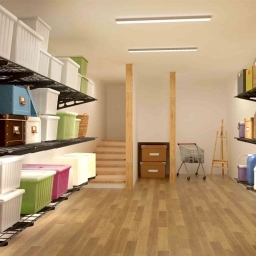 Simply put a ceiling or overhead garage rack performs the same function as a normal, wall rack, which is to allow you to store things on it, instead on the floor. 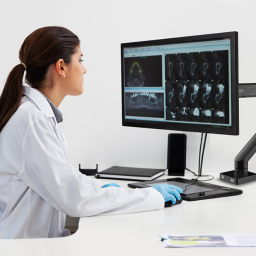 The main difference, of course, is that it is mounted via vertical posts and bolts to the ceiling. 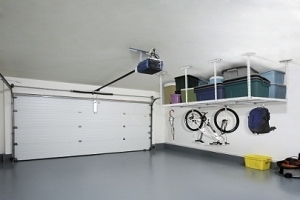 This way, a ceiling garage rack utilizes the otherwise unused and unclaimed overhead space in your garage, making it easier for you to move around without tripping on something. Not to mention it will now be much easier to find that screwdriver you “just know you left somewhere in the garage”. 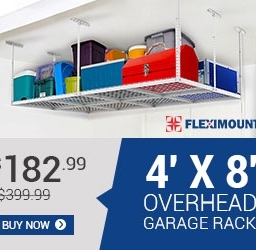 Why Fleximount Overhead Garage Rack is Your Best Choice for Keeping the Garage Tidy? 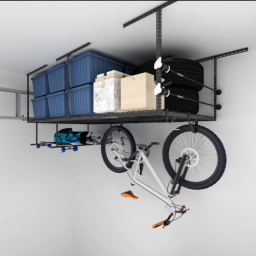 Starting from the “smallest” 4×4 Fleximount overhead garage storage racks can support: 350lbs (4×4), 450lbs 3×6 and 4×6), 540lbs (4×8) and 550lbs (3×8). 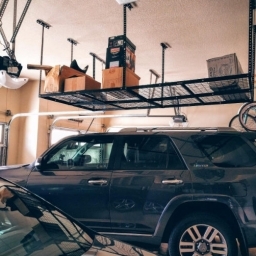 Furthermore, with Fleximount Overhead Garage Storage racks, you won’t be limited to just one height. 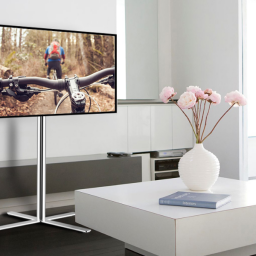 Instead, thanks to the design, you’ll be able to adjust the height of your rack from 20 inches to 40 inches, as it best suits you. 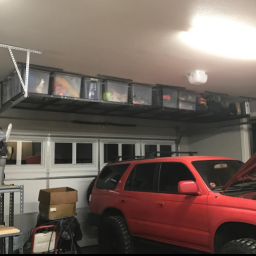 How to Install Fleximount Overhead Garage Rack? 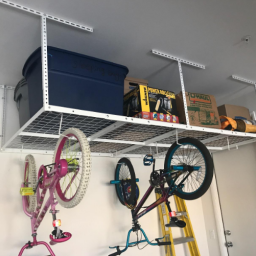 Installing Fleximount’s ceiling garage rack is surprisingly easy, provided of course, that you have the tools for a job like this. That being said, you’ll need a screwdriver, wrench, drill bit, stud finder, rubber mallet, tape measure, pencil and a ladder to stand on, naturally. 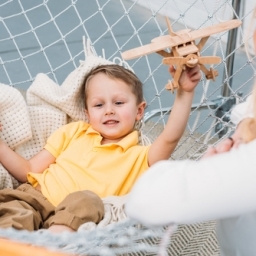 Everything else, including the vertical posts, bolts, ceiling brackets and the wired grids, plus the instructions, are provided to you by the manufacturer. 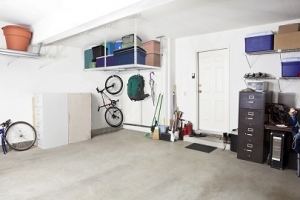 To install your overhead storage rack and save space in your garage, start by locating the place where you would like it to hang. Using the installation template (also provided by Fleximount) mark the mounting points with your pencil and then drill some holes there with a drill. Now that you have the holes drilled you’ll need to ready the ceiling brackets and the vertical posts. Simply attach a vertical post to each ceiling bracket with a bolt. 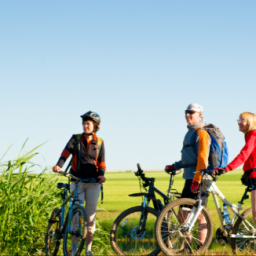 Don’t forget to check that each post is the same length as the others. 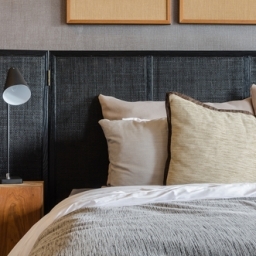 You can now install the unit onto the ceiling. Next, you’ll need to assemble and attach the wired grids and insert them at the bottom of the vertical posts. 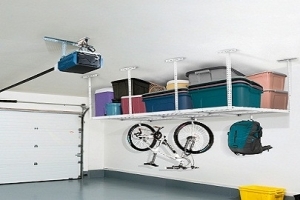 Finally, tighten it with a wrench and your Fleximount ceiling garage rack is now ready to welcome your stuff onto it.